Many studies have reported that miR-302-367 cluster acts in different ways in various cell types. For instance, this cluster is shown to have a potential role in stemness regulation in embryonic stem cells (ESCs). On the other hand, this cluster inhibits the tumorigenicity of human pluripotent stem cells by coordinated suppression of CDK2 and CDK4/6 cell cycle pathways. Indeed, this cluster has a significant posttranscriptional impact on cell cycle progression. 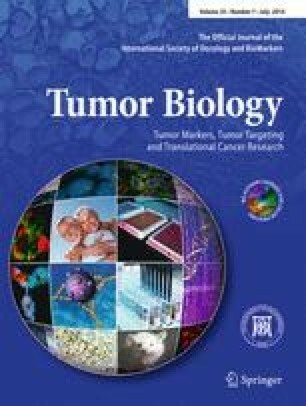 Previous reports have shown the participation of miR-302-367 cluster in cell cycle regulation of hESCs, MCF7, HepG2, and Teta-2 embryonal teratocarcinoma cells, but its effect on unrestricted somatic stem cells (USSCs) as a new source of human somatic stem cells from the umbilical cord blood remains to be elucidated. Therefore, in this study, we aimed to investigate the effect of miR-302-367 cluster on cell proliferation by MTT assay, cell cycle analysis, and colony formation assay. In addition, the expression of candidate cell cycle regulatory performance and tumor suppressor genes was determined. In this study, for the first time, we found that miR-302-367 cluster not only did not reprogram human USSCs into a pluripotent ESC-like state, but also inhibited the proliferation of human USSCs. Moreover, analyzing the cell cycle curve revealed a significant apoptotic phase upon viral introduction of miR-302-367. Our gene expression study revealed the overexpression of candidate genes after transduction of USSCs with miR-302-367 cluster. In conclusion, the controversial role of miR-302-367 in different cell types may provide better understanding for its role in stemness level and its antitumorigenicity potential in different contexts. Fatemeh Jamshidi-Adegani and Lida Langroudi contributed equally to this work. This work was supported by a grant from the Stem Cell Technology Research Center, Tehran, Iran. The authors thank the members of their own laboratories for their helpful discussions. We are also grateful to Miss Ladan Langroudi for helping in the preparation of this manuscript.